Introduction Mixed testosterone is a new type of hormone premix that is a mixture of different pharmacological effects of various drugs. Thereby making up for the action time of the drug, so that the drug can be faster and more durable. The main ingredients include testosterone propionate, phenylpropanol testosterone, testosterone, testosterone citrate. It relieves all low testosterone problems (low libido, low confidence, erectile dysfunction, low muscle mass, weak muscle strength). 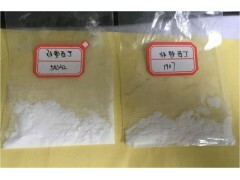 Use It is a new type of hormone premix, which is made by mixing different pharmacological actions of various drugs. Thereby making up for the action time of the drug and making the drug work faster and more lastingly.